Welcome to A-Plan, Bury St Edmunds, your nearest branch. 35-36 Brentgovel Street, Bury St Edmunds, IP33 1EA mile away. 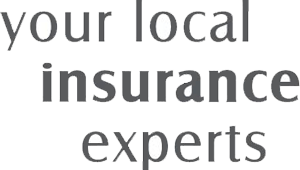 As your local insurance broker, A-Plan Bury St Edmunds has been serving clients in your area since January 2017. We have specialist facilities for private car, home & contents and commercial vehicle insurance. Our Bury St Edmunds branch is one of our newest branches only opening in January 2017. We are in a fabulous location on the corner of Brentgovel Street, only a stone throw away from the ARC & the town centre. As with all A-Plan branches we pride ourselves on local and personal service and meeting our clients face to face, so please feel free to come in and see us. Alternatively just call us on our local landline number or use the 'Contact' form on this page. Branch manager Dan has been with A-Plan for over 5 years and his team are all from insurance backgrounds so we certainly are equipped to help with any needs you have on Car, Van or Home insurance. It is not just through the quotation process that we will look after you, we look after you through the claims process and also your renewal process as well. Priding ourselves on looking after you every year, you are a name to us and not just a policy number. Thank you for visiting the website and I look forward to meeting you soon. Your Bury St Edmunds Branch Manager. Get the right cover at a great price! Put our local team to the test to see how we can help you.